Users of the Roku streaming media player can now download a remote control app for their Android phone, or tablet. This move brings parity with fellow Roku owners that use iOS devices. 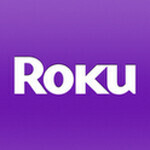 Consumers of Apple-based phones and tablets received a similar remote app from Roku in December. Installing the app will let you control the Apple-TV-like streaming media puck right from your smartphone, including navigation, plackback controls, finding new content, etc. Launch or rate any Roku channel with a tap of your finger. Use a touch remote control. Includes instant replay, back and options buttons as well as a keyboard for text entry. Easily browse hundreds of channels and games in the Roku Channel Store. Quickly add and remove channels to/from your Roku player. Control and switch between multiple Roku players. The good news is that the app works with all models of Roku player. So if you have one in your life, hop on over to the appropriate market link below, and start controlling your TV viewing right from your smartphone! This has been out for a long time!! has it? i haven't been able to find a working version. The iPhone app has been out since December (as we reported in the article) but the Android one was just released to the market - and that's not just our impression, that's what Roku says on their blog (follow the source link).